Impatience breeds anger among other vices. Then again, without keenness in the word of God, it’s not easy to fathom the saying God’s time is the best. It’s a real struggle of pushing things to no proper destiny. I’m glad I crossed that bridge. Thank you for writing this. I needed to read it. Lovely choice of verses, and some great food for thought. Thank you. Such a good and needed post! 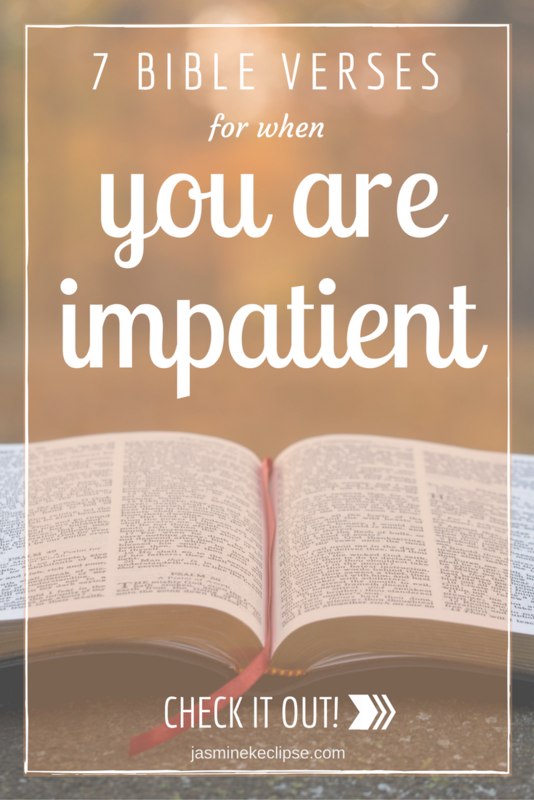 I myself can be very impatient and I really needed to hear this. Thank you for sharing!